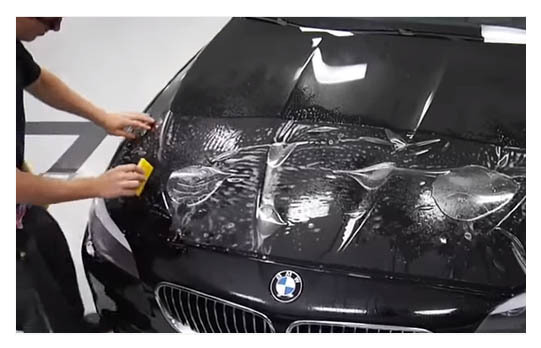 East Side Film Co offers the most advanced paint protection film products in the industry. These films are designed to resist impact from the everyday damaging road hazards such as gravel, debris, stones, road salt, insects, chips, nicks and scratches. Backed by 5-7 year warranties, our paint protection film installations keep your vehicle looking like new while avoiding costly repairs. Here at East Side Film Company, we are dedicated to providing the highest quality Paint Protection installation to your vehicle. With over 22 years of experience, you can trust us to provide quality service before and after your installation has been completed. SunTek Paint Protection Films state-of-the-art technology offers protection from damage to your vehicle caused by rocks, insects, salt, and other road debris. Their proprietary, top-coat formulation is self healing and also scratch and crack resistant with a invisible high-gloss finish.